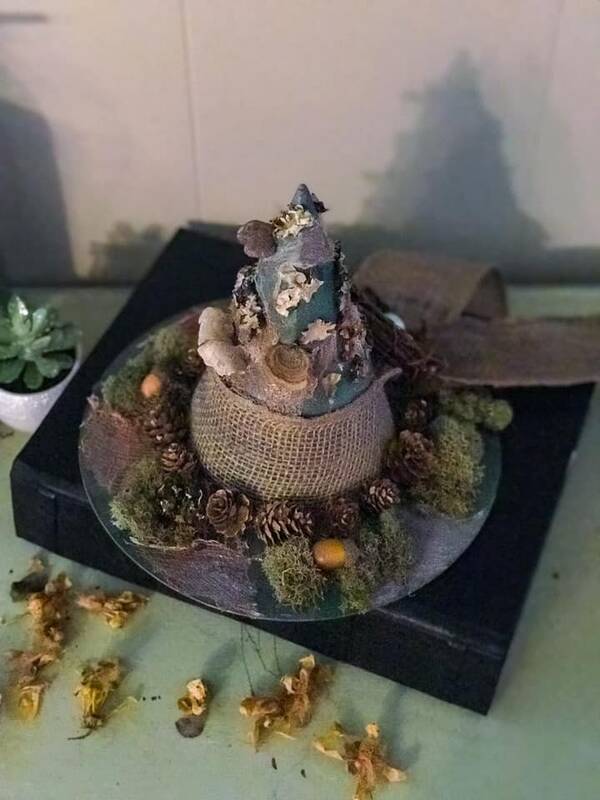 This hat has been painted deep, forest green and given a shimmery copper accenting. 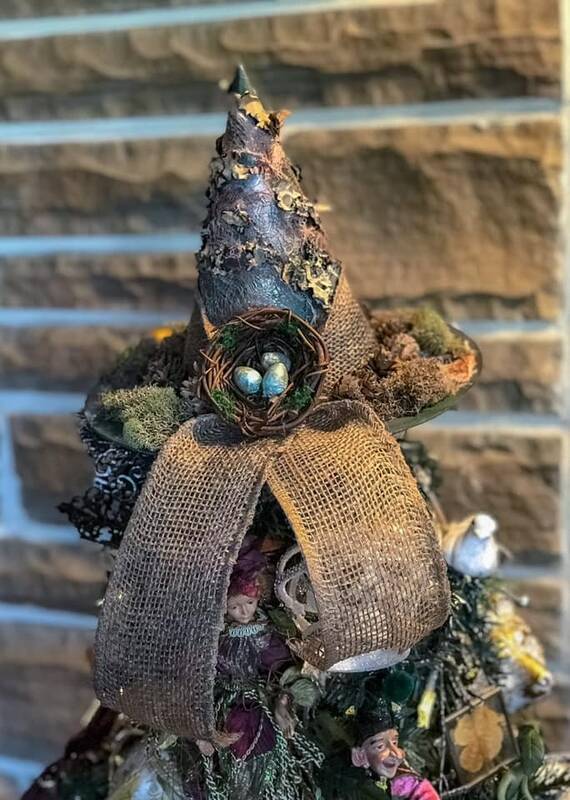 A wide burlap ribbon is at the base of the cone and held in place by a small bird's nest. I've painted some spun cotton eggs in a shimmery robin's egg blue and give them a prim coating of copper powder. The rim and the base have been accented with cheescloth, which I have also brushed with the copper powder. 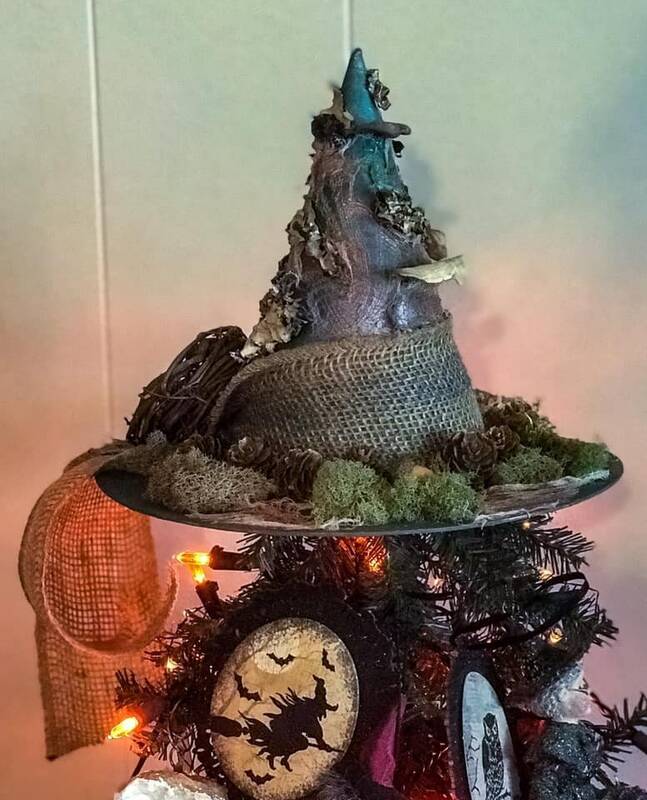 Small pinecones and moss decorate the rim with two acorns. 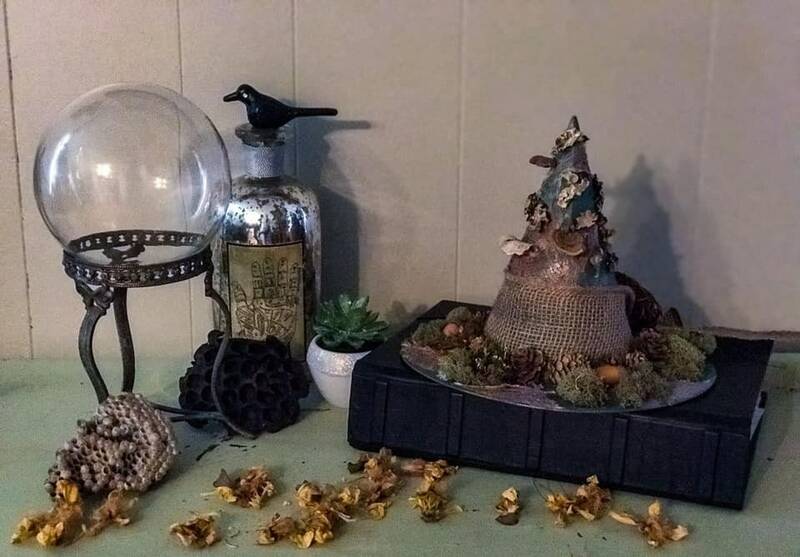 A few mushrooms that I have collected and dried (small turkey tail, dryad's saddle) decorate the cone with some lichen. Deep in the shade of the forest, the witch works with the plants and animals, tending and guarding them. 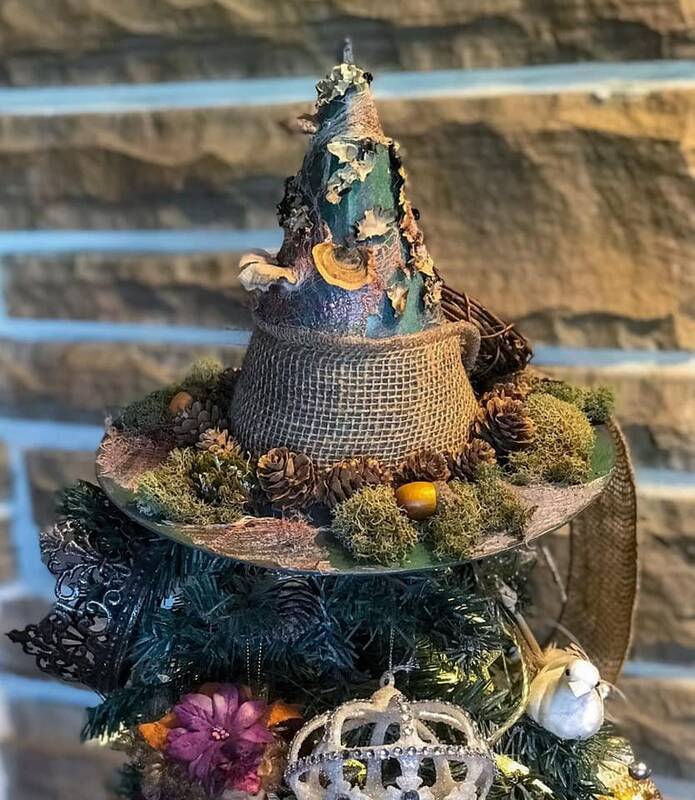 Her hat is a reflection of her essence, with pieces of nature embellishing all parts of it. 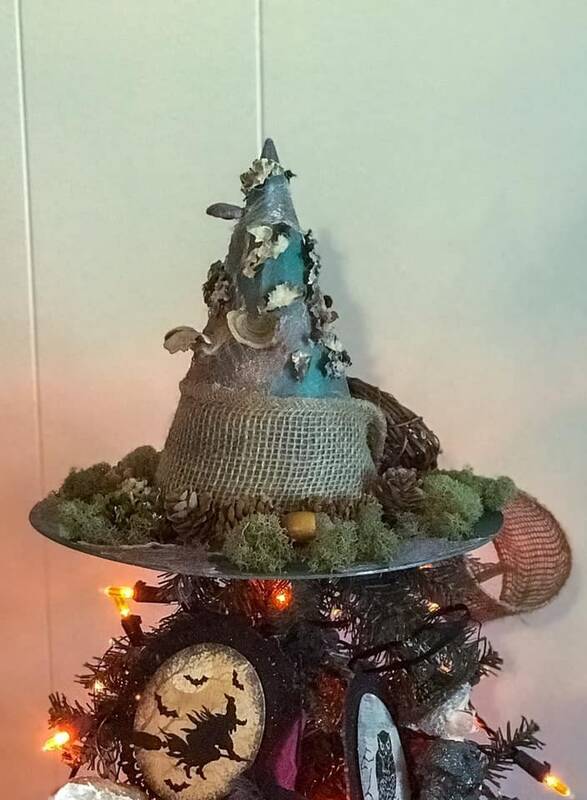 This one is named "Forest Witch"